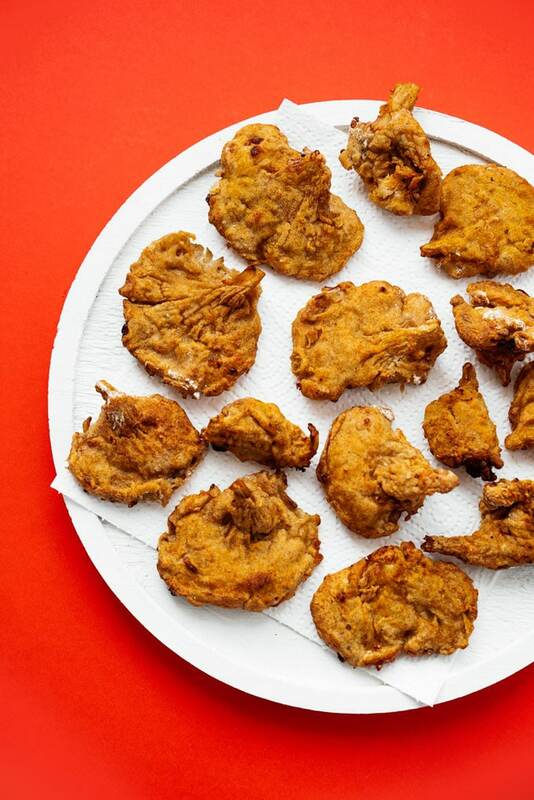 This Buttermilk Fried Mushrooms recipe is about to revolutionize your vegetarian cooking. With air fried oyster mushrooms and a crunchy coating, it tastes just like fried chicken! If I’m being honest, I really wasn’t sure this recipe would work. I mean to make vegetarian fried “chicken” with mushrooms is one thing. But to nix the frying completely in lieu of air frying? It shouldn’t have worked. But oooh did it work. There are a few tricks that make it work. 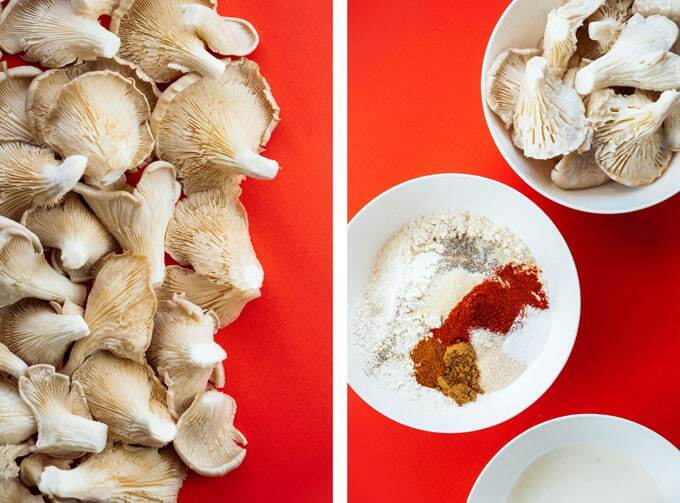 We’ll briefly marinate the mushrooms in buttermilk to infuse them with tangy flavor. Then we’ll bread them in a spiced flour mixture plus more buttermilk. Finally, we’ll throw them into the air fryer! 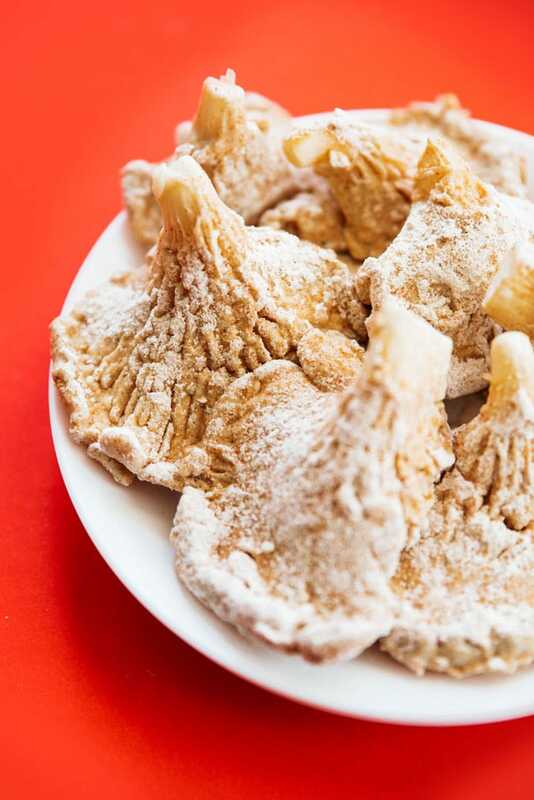 Air frying these mushrooms gives them that distinctly crunchy, fried texture (with way, way less fat). Oyster Mushrooms: Oyster mushrooms have a distinct shape and texture that makes them a great substitute for meat. Buttermilk: Buttermilk is used to tenderize the meat in traditional fried chicken recipes. We’ll use it for it’s flavor to help mimic fried chicken! You can veganize this recipe by making vegan buttermilk (see recipe notes below). 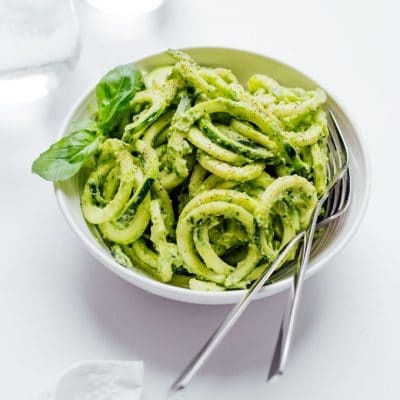 Flour + Spices: A quick blend of flour and spices will give the crunchy texture and loads of flavor. Adjust the spices to what you like! Okay but how do you turn mushrooms into fried “chicken”? 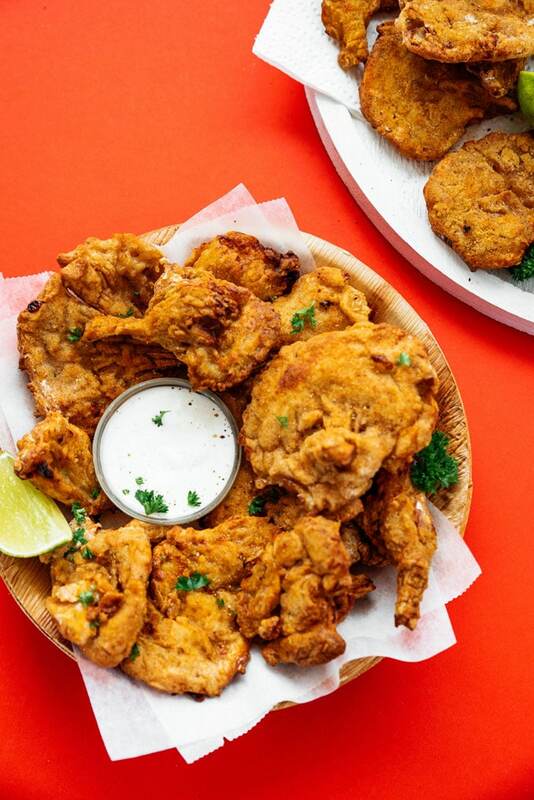 To transform the humble oyster mushroom into vegetarian fried “chicken”, we’ll dip the mushrooms in buttermilk, then into our flour/spice blend. Shake off the excess then repeat the process once more for a nice thick coating. The distinct shape of oyster mushrooms helps lots of flour and spice cling to the surface, meaning more crispiness in the end! 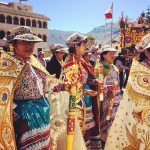 At this point you could deep fry them, but I use an air fryer instead! Grease the bottom of the pan well then set your soon-to-be fried mushrooms in the air fry pan. Cook until they begin to dry out and turn golden, then brush with a little bit of oil (this is optional but I found it helps them to get that classic deep golden color). Let cool slightly (they’ll be piping hot) then dig in! 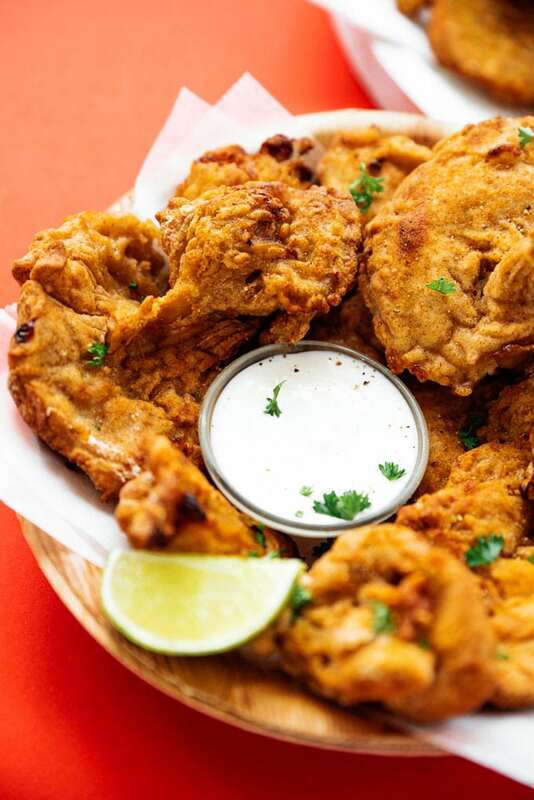 This Buttermilk Fried Mushrooms recipe is about to revolutionize your vegetarian cooking. With fried oyster mushrooms and a crunchy coating, it tastes just like fried chicken! 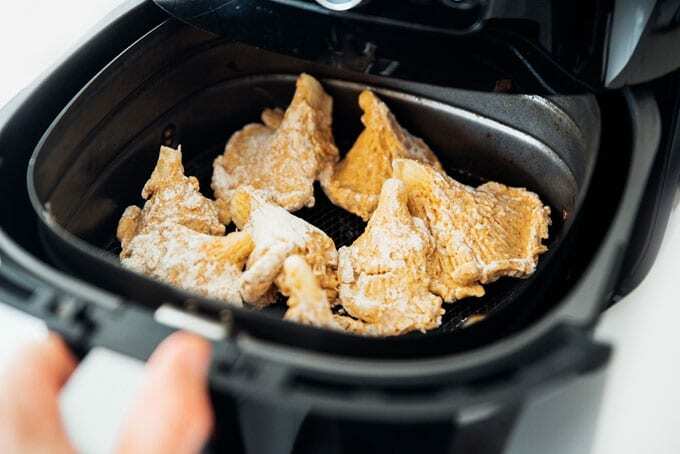 Marinate: Preheat air fryer to 375 degrees F (190 C). Clean mushrooms then toss together with buttermilk in a large bowl. 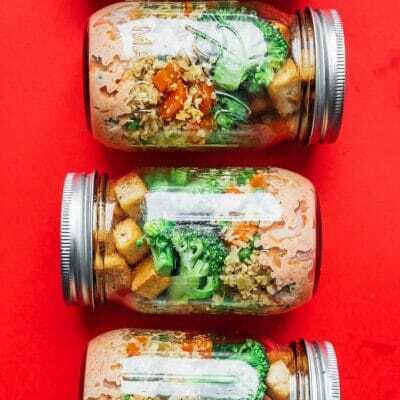 Let marinate for 15 minutes. Breading: In a large bowl combine flour and spices. Spoon mushrooms out of the buttermilk (save the buttermilk). 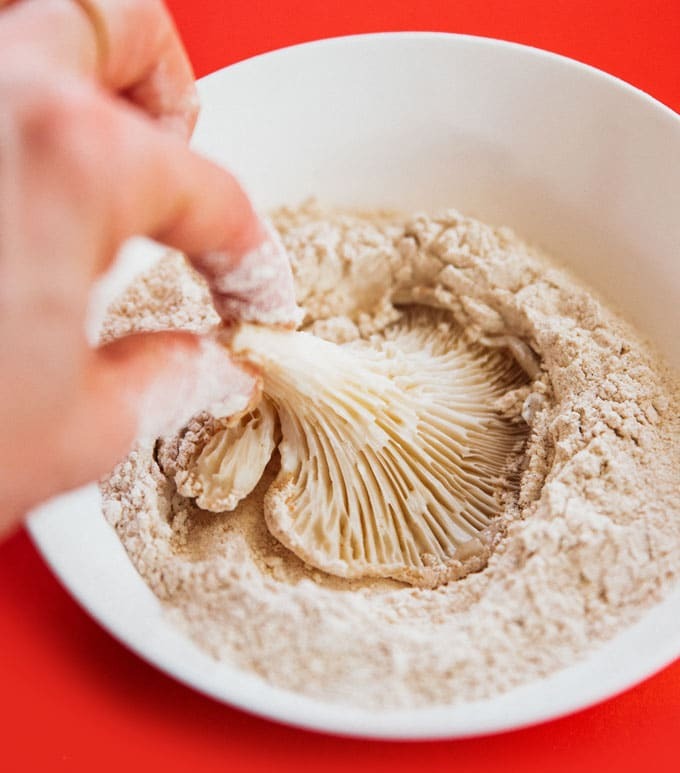 Dip each mushroom in the flour mixture, shake off excess flour, dip once more in the buttermilk, then once more in the flour (in short: wet > dry > wet > dry). Cook: Grease the bottom of your air fry pan well, then place mushrooms in a single layer, leaving space between mushrooms. Cook for 5 minutes, then roughly brush all sides with a little oil to promote browning. Continue cooking 5 to 10 more minutes, until golden brown and crispy. Make vegan buttermilk by combining 1 1/2 Tbsp lemon juice + 1 1/2 cups plain soy milk. *Alternatively, spritz with cooking spray for even coverage and less overall oil. 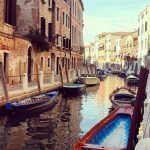 This post contains affiliate links, which means if you make a purchase after clicking a link, I may earn a commission (at no extra cost to you). 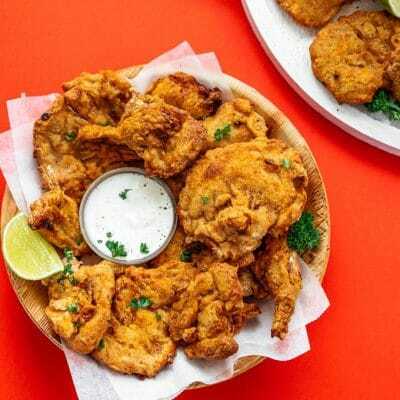 Thanks so much for dropping by and for making easy recipes like these air fryer Buttermilk Fried Mushrooms possible! Sounds yummy!!! Can’t wait to try it!!! Could you use white mushroom if you can’t get oyster mushrooms?